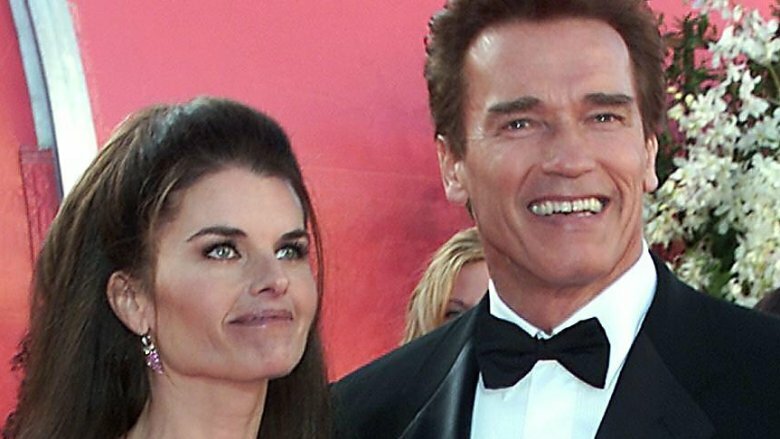 Arnold Schwarzenegger and Maria Shriver walked down the aisle in 1986, but their relationship would soon appear to be far from perfect. Schwarzenegger had allegedly long been engaging in romantic extramarital relationship but was able to keep the lid on most of his dirty deeds, up until he ran to become the governor of California. In October 2003, the Los Angeles Times exposed the actor-turned-politician for rumored sexual misconduct. However, it wasn't until he finished up his two terms in office that his most damaging secret would be revealed. The star of The Terminator had carried on an affair with a member of his family's housekeeping staff, Mildred Baena (via 60 Minutes). Not only that, but he had also fathered a child with the woman — a son named Joseph Baena. Shriver, who initially brushed off the Times' reporting of her husband's indiscretions as nothing more than "gutter politics," could no longer stand by her man once his secret love child was revealed. She moved out of the family's Brentwood, Calif. home and filed for divorce on July 1, 2011. As of July 2018, their divorce had yet to be finalized, according to TMZ, and the damage Schwarzenegger caused for everyone involved — including the four children he fathered with Shriver: Christina, Patrick, Christopher, and Katherine Schwarzenegger — still lingers. We'll tell you how the secret unraveled and how Shriver, their children, and Joseph reacted when they found out the truth. 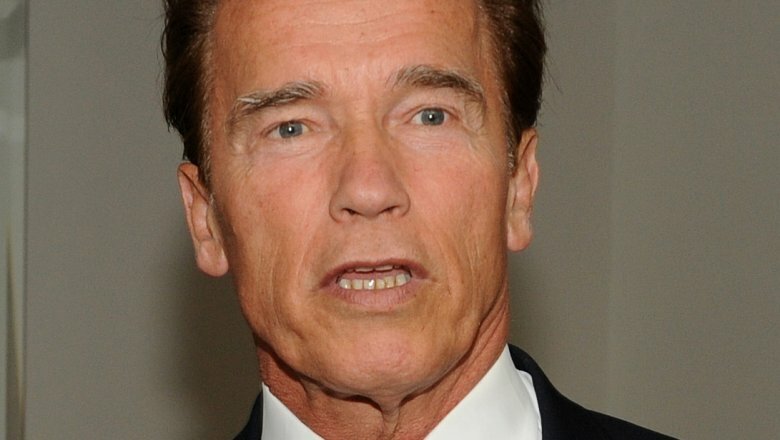 Here's a breakdown of the scandal that tore the Schwarzenegger family apart. Maria Shriver, the granddaughter of the late politician Joseph Kennedy, knows first-hand how cheating allegations can ruin a marriage. A long line of Kennedy men have been accused of engaging in extramarital affairs, as noted by ABC News. But things hit a little too close to home for Shriver in October 2003 when she found herself in the middle of explosive allegations of infidelity against her husband. A month before Arnold Schwarzenegger was sworn in as governor of California, the Los Angeles Times spoke to six women who claimed that the Hollywood star had "touched them in a sexual manner without their consent" over the course of "three decades." Schwarzenegger acknowledged the report while speaking in front of a crowd of supporters in San Diego, Calif. (via The New York Times). "A lot of the stuff in the story is not true," he said. "But I have to say that where there's smoke, there's fire." The actor added he had "behaved badly sometimes" while working on "rowdy movie sets." He also apologized to the people he had "offended." Shriver — who took a leave of absence from her duties as a TV correspondent to help her husband's political campaign — came to his defense, telling reporters (via CNN), "I wouldn't be standing here if this man weren't an A-plus human being. … I wouldn't be doing any of this if I didn't believe in this man." Unfortunately, those words would come back to bite her. While married to Shriver, Arnold Schwarzenegger had an affair with housekeeper Mildred "Patty" Baena, both he and Baena were cheating on their respective spouses. Therefore, when Baena got pregnant, it never even crossed Schwarzenegger's mind that he could be the father of her unborn child, as he told 60 Minutes. While Schwarzenegger was with wife Maria Shriver, Mildred was involved "with a man," who was identified as her then-husband, Rogelio de Jesus Baena, per E! News. And Shriver was — wait for it — pregnant with her and her husband's fourth child at the time. Not cool, Arnold. Not cool. 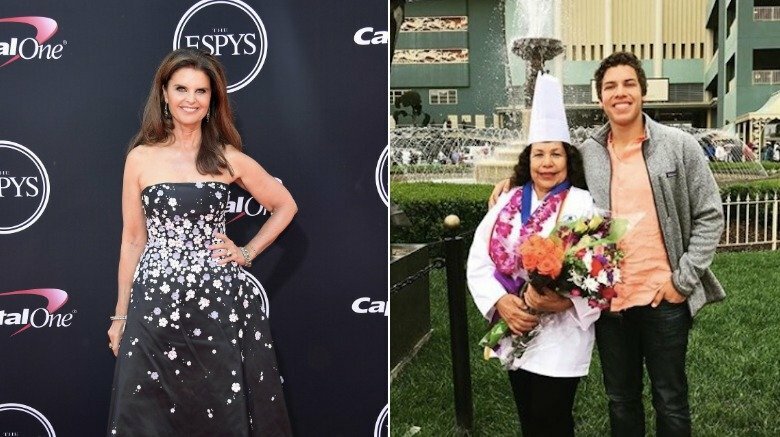 A mere five days after Maria Shriver gave birth to their son Christopher Schwarzenegger, Mildred Baena gave birth to a baby boy, whom she named Joseph Baena (via E! News). Baena listed her then-husband on the child's birth certificate because she apparently didn't believe Schwarzenegger was her baby's daddy at that time, either. It had to be the other guy's, right? Well, wrong, though it reportedly took the two adulterers quite some time to realize the child's true paternity. To add insult to injury, Shriver was pictured smiling at baby Joseph's christening — totally unaware that he was the product of her husband's salacious affair, according to 60 Minutes. Needless to say, that's pretty messed up … even if neither Schwarzenegger nor Baena knew at the time that the actor was the boy's father. Mildred "Patty" Baena remained silent about the scandal, up until a June 2011 exclusive interview with Hello! magazine. "It was as Joseph grew and I started to see the resemblance that I wondered — but It became more apparent as time went on," she said. The resemblance between father and son was reportedly so uncanny that it caused Maria Shriver to also question the boy's paternity. As for Arnold Schwarzenegger, he knew something was fishy after a few years, and, without having a conversation with Baena about the boy's paternity and without offering her any explanation, he secretly began giving her money (via 60 Minutes). Shriver finally asked Baena "point blank" if her husband was Joseph's dad. "She was so strong," Baena recalled. "She cried with me and told me to get off my knees. We held each other and I told her it wasn't Arnie's fault, that it takes two." Baena had hopes that Shriver and the actor would "work things out," but those hopes were likely crushed when Shriver moved out of their family home and filed for divorce in July 2011, according to People. Baena wasn't very lucky in the love department, either. Though it wasn't disclosed if her marriage ended due to her infidelity, she separated from her then-husband of ten years, Rogelio de Jesus Baena, just 21 days after giving birth to Joseph, as reported by E! News. Mildred "Patty" Baena acknowledged the affair occurred "a few times" during her 20-year gig as the Schwarzeneggers' housekeeper, and she even told Hello! magazine (via the New York Daily News) that she caught feelings for the action movie star. "I admired and had such great respect for him. At the time, I thought I loved him," she admitted. Still, she confessed to Maria Shriver about the affair and the paternity of her son, Joseph Baena, right before the 2010 holiday season. She told Hello! that she offered to pack her things and quit right then and there, but it was Shriver who told her to stay put until the new year. Arnold Schwarzenegger was reportedly more than willing to allow Baena to remain working inside the family home, as well — at least, before Shriver learned the truth, that is. No, not because he was still having an affair with her, but because he thought it was the perfect way to keep things under wraps. He told 60 Minutes that, by keeping her employed, he thought he could "control the situation better that way." He added that relieving her of her duties would've been the wrong thing to do because he didn't want her to feel like she was being "punished" for being the mother of his out-of-wedlock child. 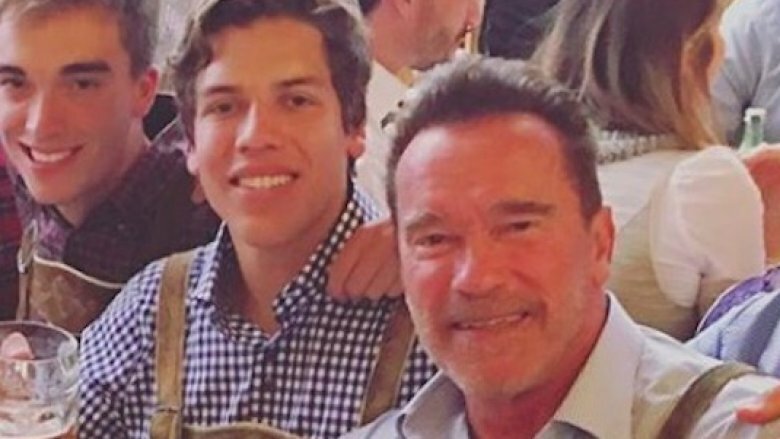 Both Maria Shriver and Arnold Schwarzenegger noticed Mildred "Patty" Baena's son, Joseph Baena, was starting to look more and more like the Commando actor as the years went by. However, a heartfelt conversation regarding Schwarzenegger's affair didn't occur until the day after Schwarzenegger completed his second and final term as the governor of California. Shriver invited the actor to a marriage counseling session, where she flat-out asked him if Joseph was his child. "And I said, 'You're absolutely correct.' And I had to face up to that, which I have been kind of hiding but no one knew about. And that I knew about at that point maybe for five, six years or so," Schwarzenegger told 60 Minutes. The actor described Shriver as being "very disappointed" after he came clean, and, three months after his confession, she packed up and moved out of their family home. Following their split, she told AARP The Magazine (via USA Today) in late 2013 that she struggled with moving on from her marriage. "[In 2011], I was trying to reimagine my life. You have to be willing to let go of the life you planned in order to make the life you're meant to live," she said. 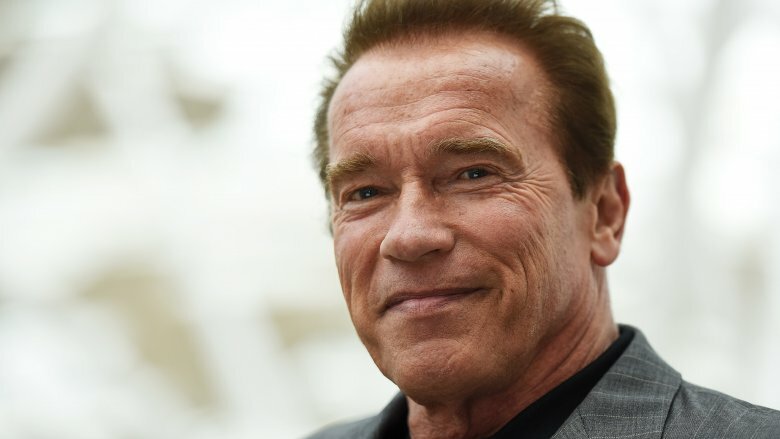 The public was jolted when Arnold Schwarzenegger fessed up to fathering a child with a member of his housekeeping staff in a May 2011 statement published by the Los Angeles Times. "After leaving the governor's office I told my wife about this event, which occurred over a decade ago," his statement read. "I understand and deserve the feelings of anger and disappointment among my friends and family." The True Lies actor went on, "There are no excuses and I take full responsibility for the hurt I have caused. I have apologized to Maria, my children and my family. I am truly sorry." While CNN reported that the Schwarzenegger family was reeling from the betrayal and was attempting to work through the scandal, Mildred "Patty" Baena's son's life did a complete 180, too. Rather than the boy learning the identity of his father from Schwarzenegger or his mother, it was Joseph Baena's grandmother who sat him down and told him that his real father was actually the high-profile actor. Upon hearing the shocking news, Joseph was reportedly in high spirits, replying, "Cool!" He was also "looking forward to building a relationship with the former Hollywood star," Hello! magazine revealed. Well, at least there was one happy person in this situation. Had Baena been obsessed with Shriver? After working for the Schwarzeneggers for decades, Mildred "Patty" Baena became an extended member of the family. And after she gave birth to her son, Joseph Baena, the little boy would often play with the Schwarzenegger kids, as Arnold Schwarzenegger told 60 Minutes. Another source claimed Mildred Baena had grown a little too close to Maria Shriver — and the closeness teetered on the brink of an alleged obsession. The insider told TMZ that Baena wanted to look like Shriver, who she reportedly thought was naturally "gorgeous," and would even go as far as to allegedly wear the journalist's clothes and jewelry outside of the Schwarzenegger home. The celebrity gossip rag added that the housekeeper would allegedly seek love advice from Shriver, and, since the two women were pregnant at the same time, Shriver would also give Baena pregnancy advice — not knowing that Baena was actually pregnant with her actor husband's kid! 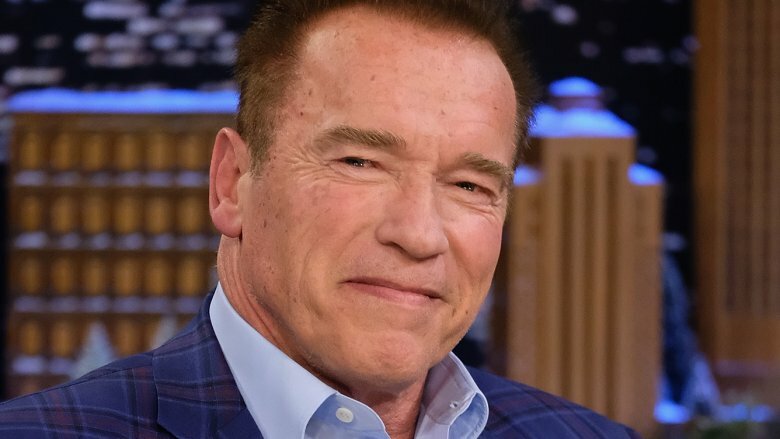 As a final act of betrayal, TMZ reported Baena would allegedly "crawl into the marital bed and do the deed with Arnold" after Shriver would leave the home. Baena also reportedly "bragged that she was more of a wife to Arnold than Maria because she was always there for him." Yikes. His affair with Mildred "Patty" Baena didn't mark the first time Arnold Schwarzenegger cheated on Maria Shriver. In fact, in 1985, the same year he proposed to Shriver after years of dating, he reportedly had an affair with his costar in the film Red Sonja. Schwarzenegger addressed the infidelity in his autobiography, Total Recall: My Unbelievably True Life Story. When 60 Minutes host Lesley Stahl noticed Schwarzenegger's recount of the events allegedly didn't express any type of remorse, the actor stated, "Actually, you know, I did feel bad about it. But, I mean, all of my various different things, they were mistakes. And this is, you know, my failure. My screw-ups." When asked if that was the only time he had an affair, Schwarzenegger was honest but blunt. "No. I had others. But I mean, ah, but you know, it's something that's obviously between Maria and me." And when Stahl noted that stepping outside of his marriage appeared to be a "recurring issue," Schwarzenegger simply answered, "I'm not perfect." Years after he owned up to impregnating a member of his housekeeping staff, Arnold Schwarzenegger was still doing damage control for the devastating infidelity that ripped his family apart. While discussing the incident with Harvey Levin on OBJECTified (via Us Weekly), he said he didn't need to reflect on that moment of his life because he knew "it was a major, major screw-up." Yeah, you can say that again. Shriver went on to file for divorce in 2011 after Schwarzenegger's skeletons came tumbling out of the closet, and the actor confirmed to Levin that their divorce still wasn't finalized at the time the interview was filmed in November 2017. So, what's the hold up? Is a reconciliation in the works? Well, probably not. In May 2017, Shriver told the Today show (via People) that she was "single" and "looking." Divorce decree be damned. Arnold Schwarzenegger attempted to be forthcoming about his affair with Mildred Baena in a 2012 interview with 60 Minutes. Still, some of the juicier details were apparently off limits. When asked if he continued "having the relationship" when Baena was still working for his family, he answered, "No. But, look, I have caused enough pain to everyone as it is, if it is my wife or my kids. So I don't want to reawaken and kind of talk about it because it's not going to help them." He added, "And I just want to protect them as much as I can." 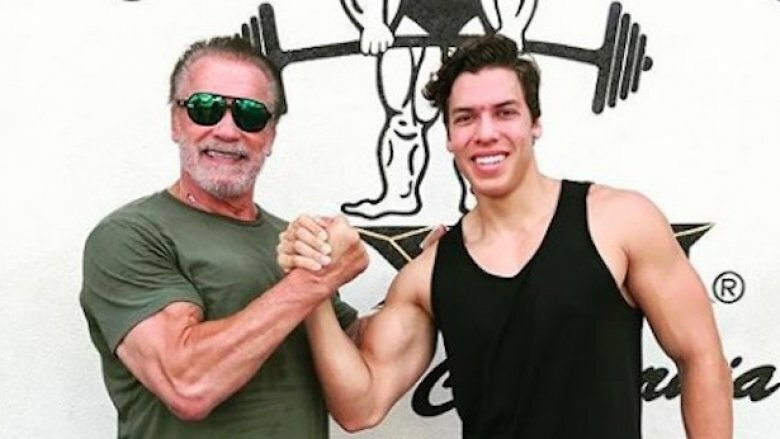 While Schwarzenegger didn't "want to go and get into" his relationship with the son who was conceived from the affair in his 60 Minutes interview, Joseph Baena, he was open to chatting about him a few years later in a 2015 interview with Sirius XM host Howard Stern (via People). To Stern, Schwarzenegger described Joseph as "terrific." He also noted that Joseph "totally understands the situation." Still, Schwarzenegger admitted that the situation had been "very tough" for Joseph, just as it had for the children he shares with Maria Shriver. "It was tough for everybody," he said. "But it has happened and now we have to figure it out, right?" Telling Maria Shriver about his infidelity and secret love child was only one task on Arnold Schwarzenegger's to-do list. He also had to break the news to his and Shriver's four children. The former professional bodybuilder told 60 Minutes his kids "cried" after hearing the news, and he "asked them for forgiveness." 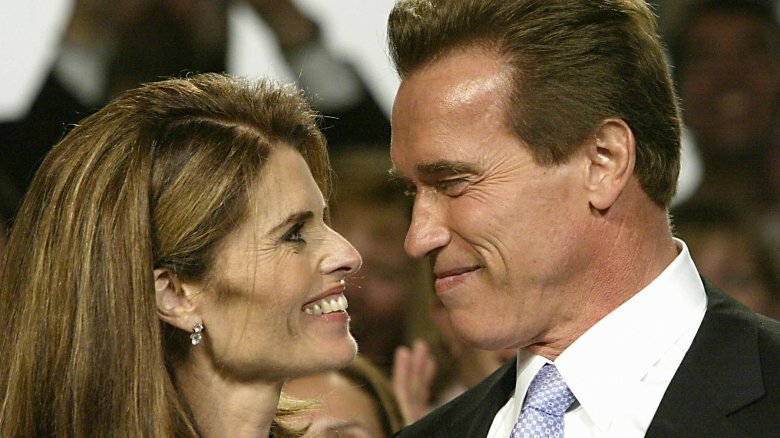 Surprisingly, after the dust settled, Schwarzenegger and Shriver put on a united front for the sake of their children. 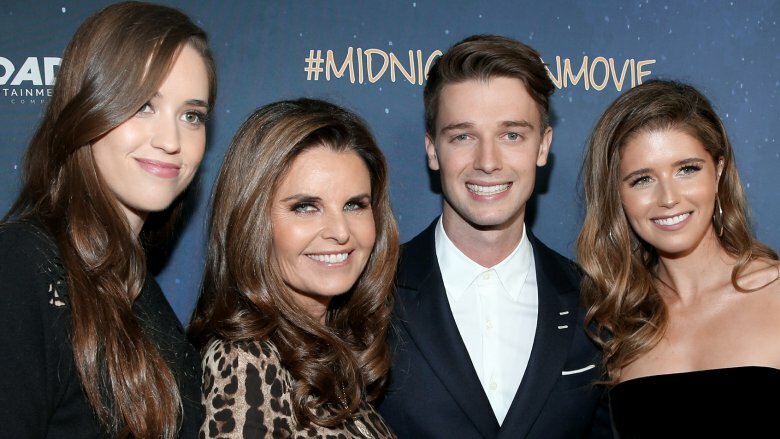 "My parents were very, very big on making sure that we remained a family unit no matter what happened and they did a really good job at that," their daughter Katherine Schwarzenegger told The Talk (via People). 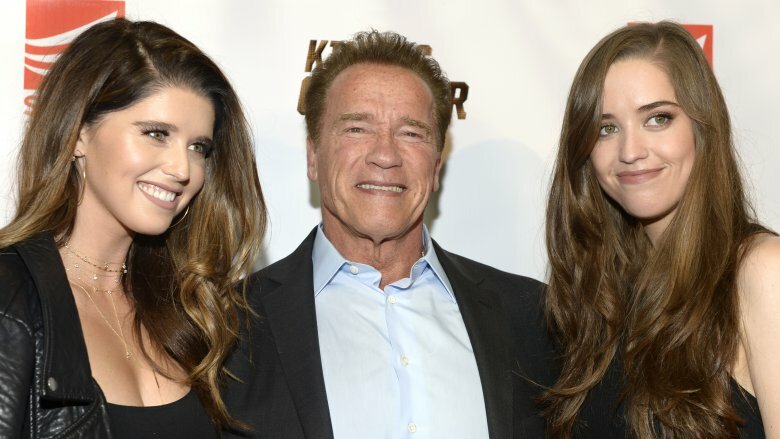 Years after the scandal wreaked havoc on their lives, things appear to be back to normal for the Schwarzenegger clan — well, settling into a new normal, at least. Though it's unclear if Schwarzenegger and Shriver's children have a relationship with Joseph Baena, Katherine said their nuclear family is still "overly obsessed with each other," and they still "have a lot of love for each other." For his part, Schwarzenegger has managed to forge a relationship with Joseph. Not only have they been spotted out enjoying each other's company, but Joseph is following in his dad's footsteps by pumping iron in the gym.